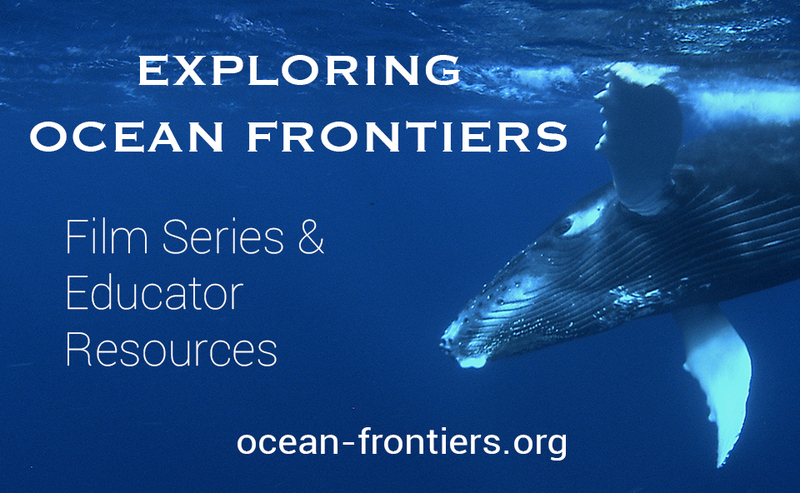 The newly-released Exploring Ocean Frontiers Educator Resources are based on the Ocean Frontiers film series and can be used to engage students on an inquiry-based educational journey in ocean stewardship. The inspiring Ocean Frontiers films portray how unlikely allies – government, industry, science and conservation – are working together to find solutions that benefit ocean ecosystems and economies. There are two sets of resources, for secondary and post-secondary classrooms. Students can learn about this new wave of ocean stewardship through secondary lesson sets that build on real-world science and data, helping to make science more relevant. The lessons feature engaging classroom activities that include inspiring film clips, research data, local knowledge, place-based stories, role-playing, background information and more — providing educators NGSS-linked tools to incorporate ocean management and conservation perspectives into a variety of classroom settings. Themes include: collaborative science, ocean planning, stakeholder engagement, ocean data portals, marine biodiversity and ocean stewardship. The post-secondary discussion guides are designed to help educators incorporate the films into their classrooms and facilitate discussions on collaborative ocean planning and the future of our oceans. Each post-secondary guide includes a film overview, discussion questions and recommended resources for further research. Secondary teachers can also use these guides and adapt them for their learning environment.